Evoqua is a leader in developing new technologies and applications for resin. We also work closely with the leading resin manufacturers to improve existing product quality and to develop new products to meet changing application needs. Our experience in ion exchange technology spans greater than 80 years and is backed by a rich history of businesses recognized as leaders in the water treatment industry. Evoqua offers a complete support program to provide our customers with the products and support services necessary to maintain their ion exchange systems for peak performance and long-term operation. 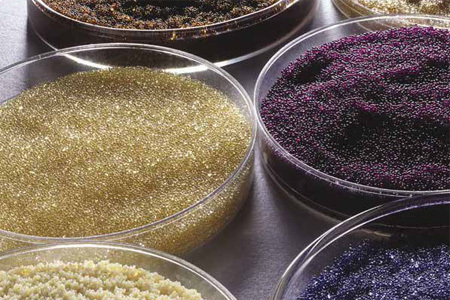 In addition to being the largest distributor of ion exchange resin, we also provide a full range of services including analytical testing, resin removal/reinstallation, cleaning and reconditioning. For specialty applications, we offer customized high-purity resin processing and blending to meet FDA requirements for the food and beverage and pharmaceutical markets. And, when it is time to dispose of your spent resin, we can assist in coordinating options for investment recovery or proper disposal. Evoqua offers complete support at every phase throughout the life of your system. Industry-recognized products, experienced technical support and an expertly trained field service team are all available to you as part of the offering from Evoqua.